According to latest research, the oldest computer in the world, Antikythera Mechanism was created in 205 BC. This conclusion was arrived at by Argentinean scientists. Previous radiocarbon dating had dated the mechanism to 100 BC. Antikythera Mechanism has been touted as the world’s oldest computer. However, new studies have concluded that the rusty bronze fragments comprising the Antikythera Mechanism, is at least a century older than previously thought. This conclusion was drawn by Argentine scientists on the basis of an eclipse prediction calendar, which is basically a dial on the back of the device which included a solar eclipse that happened on May 12, 205 B.C. Earlier radiocarbon dating had concluded that the mechanism was made in 100 to 150 BC. 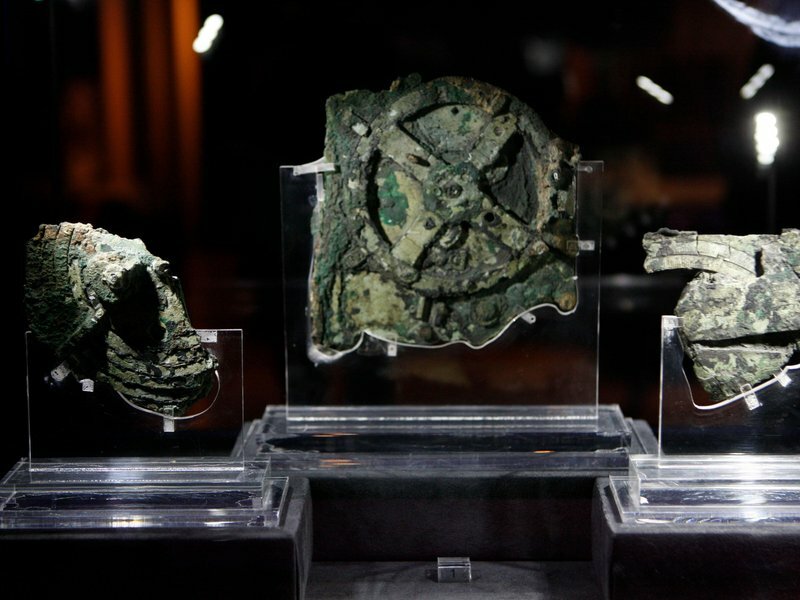 Antikythera Mechanism was recovered from a Roman cargo shipwreck off the Greek Island of Antikythera, from which the mechanism derives its name. Earlier studies had revealed that it was used to chart the movement of planets and so also the passing of days, months and years. It was also used to record important events like the Olympic Games. Further studies in 2008 revealed that it was also used to predict eclipses. Further studies by the National University of Quilmes revealed that the device which was used to predict eclipses was based upon Babylonian arithmetic, rather Greek trigonometry. The Antikythera Mechanism was a highly complex device and was composed of 40 bronze cogs and gears, was used in ancient times to track the cycles of the solar system. Scans revealed the device was originally housed in a rectangular wooden frame with two doors with instructions for its use inscribed on it. The mechanism had in its front a single dial which showed a Greek zodiac and an Egyptian calendar. The back of the device contained two more dials which displayed information about lunar cycles and eclipses. The island of Antikythera has a population of 44 inhabitants was once a bustling trade routes, and a base for Cilician pirates. In popular culture it is said that Julius Caesar was held for ransom by Cilician pirates in this very island. How birds react to solar eclipses?